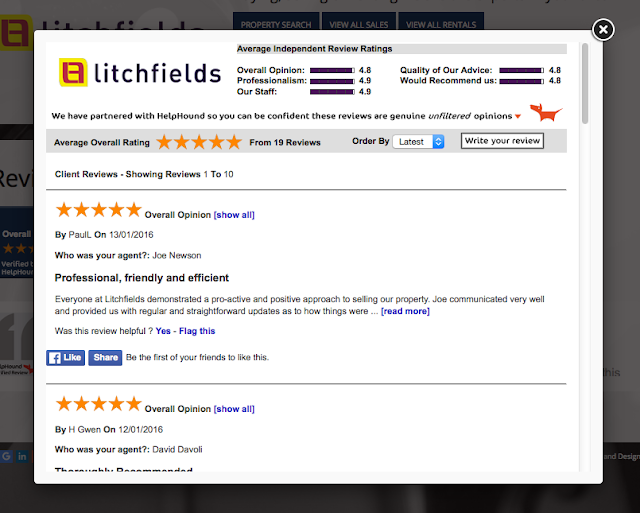 Litchfields - the North London estate agents - joined at the beginning of November 2015. What happened next is a shining example to anyone wondering if Dialogue™ will work for their agency. They now have nineteen - glowing - reviews. Then, again following our guidance (which included following up our joint email - within minutes), they began asking those clients who had posted to their own website to copy their reviews to Google. The result? Thirteen - yes, thirteen, or well over half - of those clients have copied their review, word-for-word, to Google. 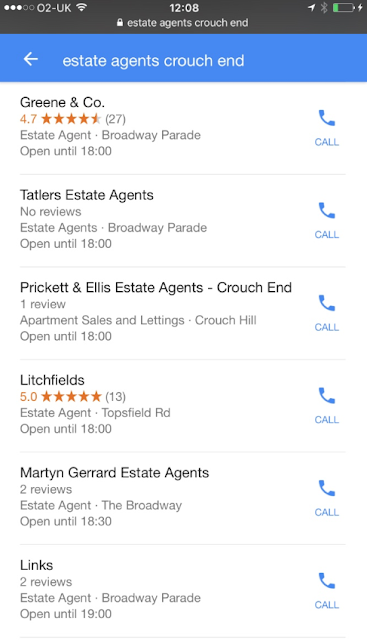 To show in every search, specifically for Litchfields and for estate agents in their local area. They are looking great where it matters most - on their own website and on Google; and perhaps just as importantly, they will be right in the frame when Google introduce filtering for estate agency search. Well done Litchfields! Come on in, the water is lovely! All you need to know is here.